Newberry College mourns the loss of former trustee and alumnus L. Wayne Pearson, who was called to his heavenly home on March 15, 2018. An Isle of Palms resident, he was 70. Click to read the obituary and leave remembrances in the digital guestbook. Wayne graduated from Newberry College in 1970 with a Bachelor of Science degree in Business Administration. A successful businessman, Pearson spent 45 years in the banking industry in numerous positions, which included launching and leading two South Carolina banks. A dedicated alumnus and generous supporter of Newberry College, Wayne maintained a lifelong connection with his alma mater. He served in many leadership positions, including as a member of the Alumni Association Board of Managers, a founding member of the Heritage Society, a founding member of the Newberry College Alumni and Parents Association, the Athletic Club, and as the Alumni Chairman for Annual Fund Giving Campaign. Wayne was a member of the Newberry College Board of Trustees for 15 years, including service on the Executive Committee and as treasurer. Even when he transitioned to emeritus status, he continued to provide his expertise serving on the Board’s Finance Committee. Wayne remained active in his fraternity, Kappa Alpha Order, and was honored as a member of the Kappa Alpha Order, Graves Provence Court of Honor for South Carolina. 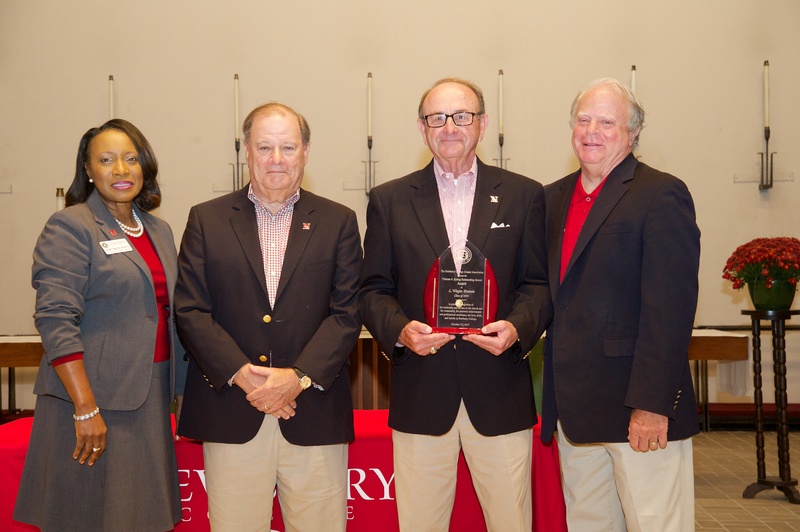 He was honored in 2017 the Newberry College Alumni Association with The Thomas A. Epting Outstanding Alumni Award, which honors alumni who exemplify commitment to and support of Newberry College and service to others. Wayne also served in leadership capacities in a variety of industry associations and was an active member of All Saints Lutheran Church in Mt. Pleasant, S.C.
Wayne is survived by his wife of 42 years, Patricia Brehmer, and their sons, Lewis W. Pearson Jr, and Patrick Carter Pearson; daughters-in-law, Carrie Mann Pearson and Molly France Pearson; grandchildren Haywood Roland Pearson, Betty Reece Pearson and Harper Elizabeth Pearson; his mother Clarice Pearson and his brothers Stan, Ronnie, Frank and their families.